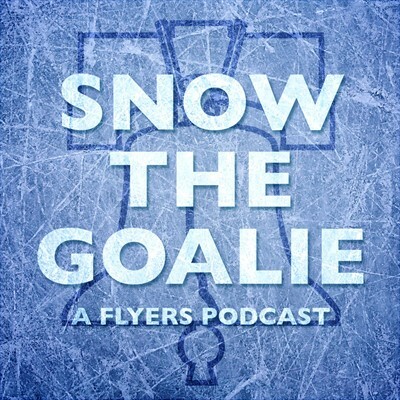 On February 2nd, following the Flyers OT win over the Edmonton Oilers – their seventh straight victory – Anthony and Russ joined a large group of Flyers writers and podcasters at Bullies Pub at Xfinity Live for a roundtable to talk about the team. The first panel included Jason Myrtetus and Russ Cohen (Stick 2 Hockey), Anthony SanFilippo (Snow the Goalie/Crossing Broad), Bill Meltzer (HockeyBuzz/Flyers.com/NHL.com), Charlie O’Connor (The Athletic/BSH Radio), and Anthony Mingioni (Off the Post/Center Ice Magazine). The first panel was joined by Flyers head coach Scott Gordon. The second panel included Jason Myrtetus, Charlie O’Connor, Russ Joy (Snow the Goalie/Crossing Broad), and Bill Matz, Steph Driver, Kelly Hinkle (Broad Street Hockey/BSH Radio).